Platinum Play Online Casino Review - AU$1000 FREE Bonus! Fans of pokies will love the assortment of games, as those offer a varying degree of jackpots. Since its formation in 2004 Platinum Play Casino has earned a reputation for fantastic rewards and entertainment. It’s a popular site with Australian online casino fans who relish the chance to play in a safe environment on their Mac, PC, tablet, or smartphone from the comfort of their own home. As part of the highly reputable Malta based Fortune Lounge Group, players can be sure of a safe, secure haven to play some of the 500 plus games on offer. The site is regulated by the Lotteries and Gaming Authority of Malta and fair play is ensured as it is also an approved eCogra casino that monitors safety and fair play standards. When you register at Platinum Play, you are automatically given 1500 free bets plus another 200 when you make your first deposit. Loyal players are rewarded with a loyalty point scheme. Points are awarded on a number of different levels up to Platinum and can be exchanged for free credits, full details of how the loyalty awards work is on the website. The International Slots League offers players regular rewards and prizes and you can play “internationally” every minute of the day or night. Regular tournaments for pokies, poker and other table games take place throughout the week with many offering extra prizes and bonuses. Play at Platinum Play Casino with your AU$1000 Bonus Now! Fans of pokies will love the assortment of games, as those offer a varying degree of jackpots. There are 14 different progressive pokies available to play online offering jackpots totaling millions of dollars. Are all catered for, making the casino well liked by a cross section of players. It is important to note that the app comes in two different forms: an app you can download from the Apple Store (for iOS devices), Google Play (for Android devices), and so on and an HTML5-Flash site. One might find the HTML5-Flash site easier to use, as it has more language support and no updates as opposed to the downloadable app. The HTML-5 Flash site is accessible on the most recent version of Firefox, Opera, Chrome, and Safari. Players playing on the mobile app have a huge advantage over their opponents who are playing on their desktops or laptops, and it is convenience. Think about it: when you are playing on your desktop Apple or Windows computer, you are basically stuck at the desk, probably at home. That means you cannot get other things done at the same time. You cannot fix a meal, take a smoke break, or sip coffee at a coffee shop at the same time. If you are playing on your Android, iPad, or another type of mobile phone or tablet, you can multitask at the same time. It saves you a lot of time and makes life so much easier for you. When it comes to the Platinum Play mobile casino, review sites all agree that their app is extremely secure. That means you do not have to worry about comprising your private information, like your credit card details. Compared to other apps, the Platinum Play mobile app does not look flashy or even sleek. It has a somewhat lacklustre appearance, but that does not mean that the app is not still user-friendly. It is extremely easy to navigate. In fact, you can register on the app and start playing right away. This Platinum Play mobile casino review gives the app five stars! Crossplay: Yes. You can use the same login details. Deposit some money (if you do not have an account already). Ensure that Java is enabled on your mobile device. 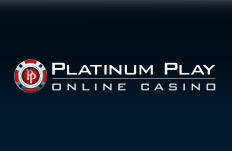 Open up Platinum Play’s mobile casino on your mobile browser. Register a new account or log in with your existing account details. Open up your favourite casino game and start playing! Alongside eight more payment methods. The wide array of options give this casino's users plenty of payment choices. Casino credits can be purchased using various currencies Australian Dollar (AUS), US Dollar (USD), Euro (EUR), Canadian Dollar (CAD), Russian Rouble (RUB), Swedish Kroner (SEK), Norwegian Kroner (NOK) and the Danish Kroner (DKK). The website supports sixteen different language options, so players can play on the site in their native language. This casino's customer support department is open 24/7 every single day of the year. There are several different support options on offer including email, Skype, live chat and phone.